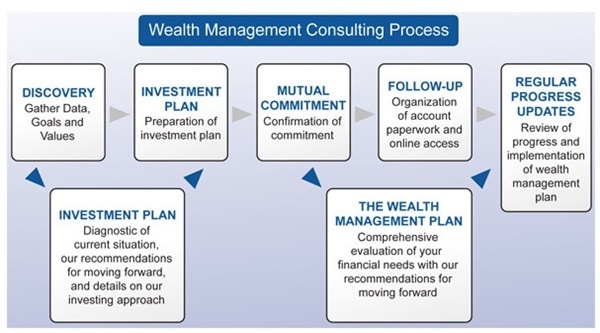 Established in 1997, Davis Williams Wealth Management is an independently owned and operated financial services firm that was founded on the cornerstone of providing clients with the best available financial guidance, products and customer service. Our business is based on maintaining professional independence for the firm while working towards financial independence for our clients. We offer a comprehensive array of products and services available from many different sources including help with investments, insurance and planning. The firm’s principals, Scott Davis and John Williams, share a strong vision of wealth management. Their vision goes beyond meeting typical financial goals as they help you align your wealth with your values. We represent our clients by developing individualized strategic plans, then review and update those plans as needed. As financial professionals, we recognize that our clients lead complex and active lives and that their financial needs will change over time. We have associates specializing in everything from investment advice and retirement planning to a wide range of insurance products for individuals and businesses. We function as consultants, brokers and service representatives to help solve multiple financial needs. As an independent firm we represent the needs of our clients. Since we broker investment and insurance products from hundreds of financial companies, we can deliver both objective information and competitive products. This provides our clients with control and choice.